BUCYRUS — Take part in the Humane Society Serving Crawford County’s Black Tie event through Oct. 16. During this time, the humane society will have a reduced adoption fee for all black dogs at the shelter. The adoption cost for any of the black dogs — Diesel, Onyx, Paige, Panda, Thunder, Ty, Vinny and others — is $60, plus the cost of dog tags. The humane society also will provide an additional goodie bag for each black dog adopted. Black dogs — and black cats — are some of the most difficult pets to get adopted at shelters. The issue has become known as Black Dog Syndrome. These dogs and cats spend a longer time at the shelter waiting to be adopted than animals with lighter coats. The black dogs at the Humane Society Serving Crawford County are just as wonderful as the other dogs. In order to shine a better light on these overlooked canines, the adoption fee has been reduced. The humane society is at 3590 Ohio 98 in Bucyrus. The shelter is open 10 a.m. to 5 p.m. Monday, Tuesday, Thursday and Friday and 10 a.m. to 4 p.m. Saturday. For more information, or to meet one of these dogs, call 419-562-9149. Courtesy photo Through Oct. 16, the Humane Society Serving Crawford County has a reduced adoption fee for all black dogs at the shelter. The adoption cost for any of the black dogs — Diesel, Onyx, Paige, Panda, Thunder, Ty, Vinny and others — is $60, plus the cost of dog tags. 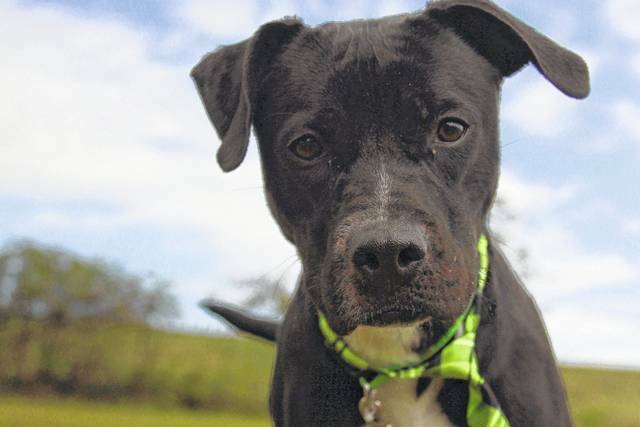 https://www.galioninquirer.com/wp-content/uploads/sites/38/2017/10/web1_CCHS-Black-Tie-Event-2017-2.jpgCourtesy photo Through Oct. 16, the Humane Society Serving Crawford County has a reduced adoption fee for all black dogs at the shelter. The adoption cost for any of the black dogs — Diesel, Onyx, Paige, Panda, Thunder, Ty, Vinny and others — is $60, plus the cost of dog tags.